For this episode of the pod, Iain and Jim are joined by Steve Angus from TDC in Val d’Isere. Steve describes the snow he can see from his window, shares a few tips on where to ski and gives the team a lowdown on the developments in Val d’Isere, including revealing the location of a new car park! 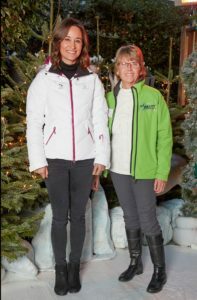 The trio also talk about the Russian ban from the Winter Olympics, Pippa Middleton’s endurance skiing, the new DSUK campaign and the return of Ski Sunday. Naturally there are the regular features of Korean Korner, The Snow Report (there’s loads of it!) and we review the ‘Skiddi‘ – yet another way to carry your skis – in Dragon’s Den. Previous postThe Knowledge is Powder Ski Podcast – Episode 5 Next postClaudia. Winkleman. You. Will. Get. Skiing.